Summer encourages us to fall for the cold hues. Having blue colored eyes reflect how positive you are towards life and others. Geo Berry Cessy blue colored contacts feature a natural looking pattern and a very ingenious amalgamation of multiple hues. The lenses portray a yellow inner ring that surrounds the pupil hole. The yellow ring actually makes the blending easier. 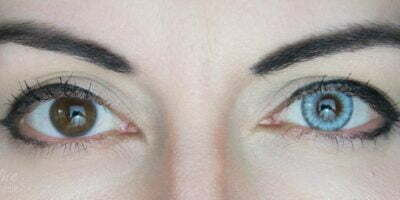 The enlargement effect is also very subtle & sophisticated for daily wears. They fulfilled my needs for daily, natural circle lenses! 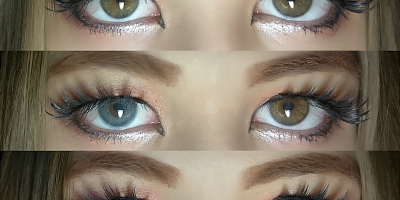 But these lenses should still be special in some kind of way… and I think GEO achieved it with this pretty color! My eyes look pretty and naturally blue, I don’t think anyone would wonder if I wear contacts. So a plain 10/10 ♥.